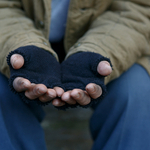 Homelessness is a major concern across the United States, and California is not exempt. In major cities across the state, thousands of people are without home or employment to pay for the core necessities. Orange County’s homeless population, in many cases, is living in conditions of squalor. Living in tents and storm drains, due to a serious lack of homeless shelters. Many people living in such conditions have serious mental and physical health problems, making their ability to find employment untenable. While many of such people would qualify for state assistance, the process for applying for Supplemental Security Income and Social Security Disability Insurance benefits is too much to take on without help. These benefits could, in fact, make all the difference in changing one’s situation. In an effort to gain control of the ever-growing homeless problem in Orange County, a call went out to the Board of Supervisors and other county officials to step up their efforts, The Orange County Register reports. The call was answered by the appointment of “Homeless Czar” Susan Price, at the end of May 2016. By October, Price had helped with efforts to open The Courtyard homeless shelter, providing emergency housing for as many as 400 people. Next year, renovations will be completed on Bridges at Kraemer in Anaheim, which will be able to assist 200 people, offering health services, employment counseling and other resources like SOAR. As was mentioned above, with the aid of certain benefits a number of people could get back on their feet and acquire permanent housing. But, they need help. SSI/SSDI Outreach, Access and Recovery (SOAR) involves county workers trained to help the homeless successfully fill out applications for SSI and SSDI, according to the article. The little bit of extra help is what many need, but have been unable to get. SOAR is funded by the Substance Abuse and Mental Health Services Administration (SAMHSA), an agency that believes mental illness recovery rests on having a safe place to live. Given that a significant number of homeless men and women have mental health concerns, SOAR can have a dramatic impact on reducing the homeless population. At Driscoll Law Corporation, we can help you or a loved one navigate the process of Social Security benefits, like SSI and SSDI. If a denial was received, we can help you with the appeals process. Please contact Attorney Stephanie Merritt Driscoll, today.